Explore the past through our travel pictures library resource of the best landmark historic places, & archaeology sites as well as images of historic antiquities and artefacts from the best museums in Europe, North Africa and The Middle East. A picture library resource for professional picture buyers, academics, students and enthusiasts who want to browse, search or download pictures of historical places, archaeological sites & museum antiquities. Pictures & images of landmark historic places and archaeological sites of Europe, the middle East and North Africa. Explore our picture collections of Historic Places & Archaeology Sites discover some of the great treasures that link us to the past. Browse the artefacts and antiquities of the great musuems of Europe, the Middle East & North Africa and see wonderful artworks of our ancestors that have survived for thousands of years. Our museum artefacts and antiquities collections cover 15000 BC to 1800 AD. Explore our historic countries travel picture galleries of Europe, Near Eastern and North African countries and discover each countries most important historic landmarks, archaeological sites, top museum art, historic artefacts & antiquities exhibitions. One of the greatest historic countries of the world is Italy. Home to the Romans and later to the all powerful Medieval Popes, Italy was at the heart of European history for 2000 years. Our museum artefacts and antiquities collections bring you some of the great treasures from the museums of Europe, the Middle East and North Africa. Lost to history for 3000 years until the early 1900s the Ancient Hittites are one of the most enigmatic civilisations of the Bronze Age. 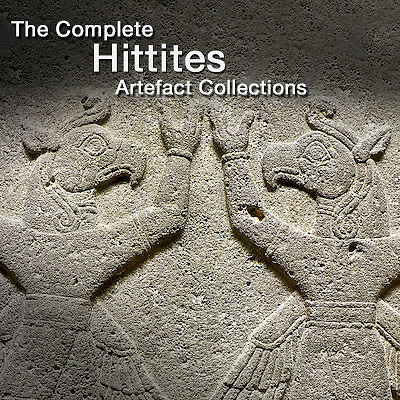 Our Hittite picture and image collections are the biggest on line of Hittite art and artefacts as well as see their archaeological sites. Anatolia in present day Turkey was at the centre of Near Eastern History for thousands of years. Catalhoyuk Neolithic settlement dates from around 7500 BC. From the Hittite Empire through to the Byzantine and Ottoman Empires Anatolia has been at the centre of ancient history.